A reader C.E. Harris sent me this article about staying in touch while out hiking or camping. These same principals will work under many different situations. An essential safety step to any outdoor activity is letting a responsible person know where you are going, when you expect to return, and who to call, such as the sheriff to initiate a SAR (Search and Rescue) mission, if they don’t hear from you by a date and time certain. This is the same as a private pilot filing a flight plan. On short hikes and hunting trips in our local area we carry a cell phone and ham radio 2-meter band transceiver, (for which we are licensed). We make arrangements with a radio amateur for us to check in nightly, to advise that we are OK or to update any adjustments to our status, routing or schedule. On backcountry trips beyond radio repeater or cell phone coverage, we take a portable, battery-operated single-sideband HF (High Frequency) radio with wire antenna and matching network to set up a check-in schedule on the 40-meter band which gives trans-continental coverage in daytime. 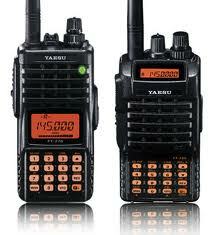 If not licensed for ham radio, the best options may be to rent either a satellite phone or personal locator beacon. If you want to buy a sat phones refurbished Globalstar units start at about $400. Buyer beware that most companies offer tempting low-cost initial plans ( often less than $50/mo.) which are designed to appeal to former cell phone users. Once that introductory great deal expires, the sticker-shock on your subsequent bills may indeed kill the faint of heart and wallet!. Use it only for emergencies! An advantage of having a ham license is that several times when we have been hunting a new area, sheriff’s deputies would assign a volunteer radio amateur who was a member of their Radio Amateur Civil Emergency Service (RACES). This gave us a local contact person to call for daily Personnel Accountability Reports or “PAR-checks” – using the common terminology of fire services. This practice blizzard paid off big time during a blizzard when we got snowed in and our 4WD vehicles were unable to make it out as planned. A radio contact to the RACES station advised that we were holed up in camp, everyone was OK, we had plenty of firewood and food, and were waiting out the storm. The RACES member relayed a phone call home to advise our wives that we wouldn’t be at work on Monday, but not to worry. But then the snow continued, so RACES used us to coordinate an exercise, using a radio-equipped snow mobile group with a SAR team to bring us out. We left our two 4WD vehicles in the woods, and came back to get them after the snow melted. Inconvenience, but no disaster. The most successful SAR mission is the one you plan for ahead of time, where everybody gets home alive. The Family Radio Service Can be Used as Tactical Radios. This entry was posted in electronics, safety and tagged 2 meter radios, Howard. Bookmark the permalink. Good advice, I don’t have the HAM setup yet but have been considering it. I have put it off for years having no one to really talk too. This is one of the first valid things I have seen on the use of one. You really should go for it. If you by the study books most of them have the actual questions that will be on the test. If you can at least memorize, it doesn’t get any easier than that. Matt, if you go to http://www.qrz.com and just do a callsign search with your state “OK” you will find thousands of licensed amateurs near you. At http://www.arrl.org you can find a club, probably on your local area. Thanks folks, i understand the clubs, rules etc. What I have not understood in over 30yrs of preparing is the why. I dont trust anyone enough to talk to random folks. I have no desire to listen to what they are saying because just the CB garbage and internet conspiracy trash wears me out. I can only imagine how bad it will be in SHTF. So i have never included these in my plans. I know alot of folks that are deeepppp into HAM and yet none can tell me one time they saved the day in an emergency. This is tornado country and bad weather, earthquakes and fires and everthing in between so where is it useful? After 9/11 in the Washington, DC area, volunteer auxiliary communications service was used to establish wireless data, imaging and message traffic between the Pentagon incident command post, the Virginia EOC and local Emergency Mgt. We also use them during storms and large events, such as the Presidential Inauguration and during the beltway sniper incident. Having trained volunteers who have passed abackgrond check is a force multiplier, which frees paid firefivhters, public works and police for field duty, because you don’t need to assign as many to maintain your comms and data networks. In our county most ACS worked in non-primary response agencies, such as schools, parks & rec, etc. We also recruited Federal civil service and DoD civilians with useful skills, CDL drivers, construction trades, etc. Trained them to assizt in logistics, damage assessment and public health missions.